They think I’m kidding but, after four decades of covering the PGA Tour stop in that community, I’m not so sure. In fact, I can now say that the area encompassing Moline and Rock Island in Illinois and Davenport and Bettendorf in Iowa could be a golf destination – and I’m NOT kidding. Golf in the Quad Cites is relatively inexpensive. That’s a big plus. Nothing is very far away, either. More than anything, though, I like the diversity of the area’s golf options. You can play a PGA Tour site. 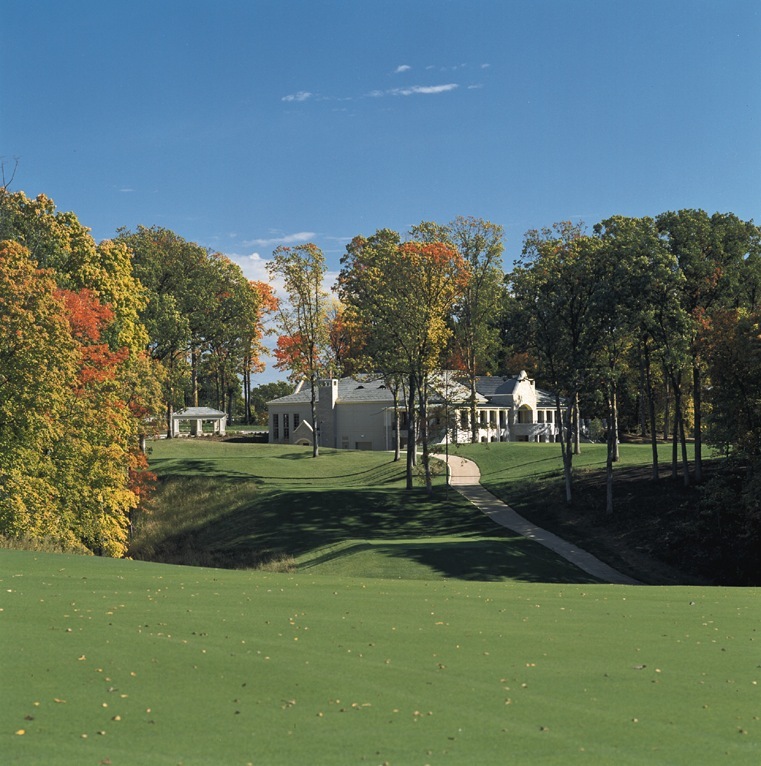 TPC Deere Run has been the home of the John Deere Classic since 2000. Golf’s premier circuit has come to the Quad Cities every year since 1971, a clear indication the PGA Tour respects the passion in one of its smallest markets. TPC Deere Run, a D.A. Weibring design, is plenty challenging but hardly the brutal test that some of the other tour layouts are. A serious recreational play can have a good time at Deere Run without feeling beat up afterwards. OK, so there’s a tour course. What else? If you want tradition there’s the Rock Island Arsenal military facility, which has a sporty layout – now called Arsenal Island — that dates back to 1897. Through 2011 it was a private club. Now the public can play this interesting 6,254-yard layout, which borders on the Mississippi River. If you want upscale public without paying much for it there’s Glynns Creek, in Long Grove on the Iowa side of the Mississippi, and Byron Hills, in Port Byron on the Illinois side. Glynns Creek is excellent, the site of an American Junior Golf Association event in 2012. Byron Hills is noted for its greens, which some say are the best in the Quad Cities. A key here is price. Two of us played both Glynns Creek and Byron Hills on a weekday with cart for $56 – that’s total, not per person. Those are the most notable public offerings. If you’re fortunate enough to get a round on one of the area’s private clubs there’s three of them – Crow Valley, in Davenport; Davenport Country Club, also in Iowa; and Oakwood, in Coal Valley, IL. – which have been sites of PGA Tour events in the past. There’s more to a golf getaway than the courses you can play. You have to have lodging, and the Quad Cities has most all of the chain hotels and motels. But, if you want someplace special there’s Hotel Blackhawk in Davenport. It dates back to 1915 and was renovated in 2009. Charming is the best way to describe it. You also have to eat, and we found some good ones. The well-established Johnny’s Italian Steakhouse, in the heart of the Moline business district, is my favorite. It’s fairly-priced, with good food and pleasant atmosphere. Duck City, located near the Blackhawk, seems to be the in hot-spot, but it’s not very big and difficult to get a table many times. Granite City Food & Brewery has one of its locations in Davenport and is much bigger with a varied menu, good food and a energizing atmosphere. For a getaway from your golf getaway there’s Faithful Pilot, Cafe in LeClaire, Ia. This is a most interesting waterfront place in a quaint little town with shops offering all sorts of antiques. If you don’t mind spending big-time, there’s the Red Crow Grille in Bettendorf. I don’t have this place figured out completely. It has a disarming location in a small shopping mall and an exotic menu. Our dinner there was a pleasant one, even after the check arrived. Biggest bargain on the culinary side was at Ryan’s, on John Deere Road in Moline. You may not be aware of it – we weren’t, either – but Ryan’s is no longer a chain of steak places. This chain is now specializing in buffet spreads and the two of us had a dazzling Sunday breakfast there for $16 – again that’s the total for both of us. The problem with going to the Quad Cities for the expressed purpose of playing golf is that there aren’t golf packages. You have to book your tee times, lodging and meal reservations separately. Cost-wise, though, we found it well worth it.